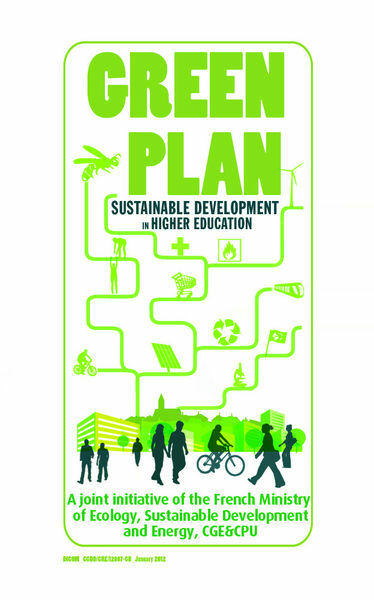 The Green Plan (Plan Vert in French) is not just “green”, it’s a complete sustainable development strategy initially launched in France and designed by university associations in France (Conférence des Grandes Ecoles and Conference of University Presidents), the French government and non-governmental organizations within the framework of the Grenelle Environment Roundtable. More than 100 “Grandes Ecoles” and Universities used it in 2012. A Green Plan Framework to assess implementation of this sustainable development policy.The Green Plan Framework, or DD&RS framework, is a tool for assessing the progress and relevance of the sustainable development actions carried out at the institution. It includes a self-diagnosis, a scorecard, a strategy guide and a basis for certification. It could be the first step in the process for obtaining a label.This framework, which is shared by universities and Grandes Écoles, is concerned with operational capability and takes into account the essential components of these institutions’ activities: strategy and governance, social policy and territorial presence, environmental management, teaching and training, research activities. By the access to possible financing that this label could facilitate. By the membership in a community of responsible institutions. The development of a COMMUNITY OF HIGHER EDUCATION INSTITUTIONS invested in an approach of corporate social responsibility. The transition which institutions of higher education have to lead requires to develop a systematic vision of their campus and the implementation of new skills. The label DD&RS, by the contribution of peers to the device of labelling, bet on a collective learning by practices sharing. 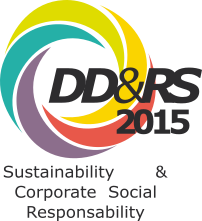 This community develops and has already allowed the creation of the Green plan framework also called DD&RS framework. In the stemming from an audit by the peers, a committee of labelling compound of ministries, students and representatives of the higher education and research institutions attributes the label for an average duration of 4 years.